In fulfillment of the needs of the General Administration for Borders and Crossings, EUBAM Rafah organized a-two-day-training on Anti-Smuggling Techniques. Four EUBAM mission members were awarded the CMPD Medal for having met the eligibility requirements and the necessary period of qualifying service in one of the EU’s Common Security and Defence Policy (CSDP) Missions. 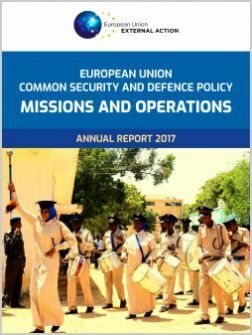 For the first time since his appointment as the CivOpsCdr in September 2018, Vincenzo Coppola visited the European Union Border Assistance Mission for the Rafah Crossing Point (EUBAM Rafah). With globalisation, border authorities play an increasingly important role in facilitating trade and circulation of goods and people across borders while protecting national interests and security.